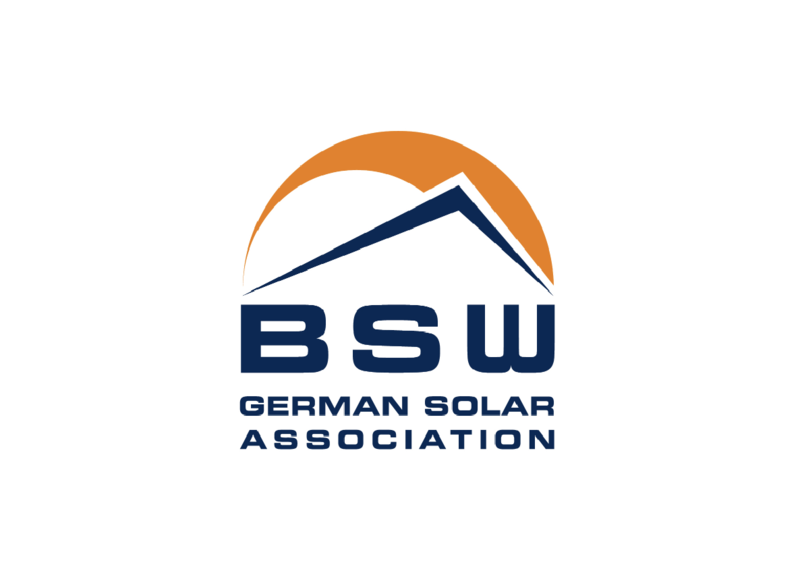 With about 800 member companies, German Solar Association BSW-Solar (Bundesverband Solarwirtschaft e.V.) is the most important national lobby organization for Photovoltaics and Solar Thermal in Europe. Forming a strong community of companies, BSW-Solar acts as an informant and intermediary between business and the political and public sectors. It represents the common commercial interests of businesses within the solar energy value chain. BSW-Solar exerts a decisive influence on creating and securing a suitable policy framework for stable growth, and thus on ensuring investment security throughout the solar industry. BSW‘s objective is to establish solar energy as a permanent pillar of a global energy industry.As the voice of the industry, BSW-Solar has strongly contributed towards creating the world’s leading and most stable market through policy advocacy and campaigns for solar energy. Today the solar market is global, and BSW-Solar actively supports its members in their international business endeavors.